Prof. Sharat Kumar Palita has a teaching career spanning 35 yrs. He has taught Zoology in two reputed Autonomous Colleges of Odisha (Kendrapara Autonomous College and Nayagarh Autonomous College) over a period of 29 years. Since last six years he has been teaching biodiversity in Central University of Orissa. He is heading the Department of Biodiversity and Conservation of Natural Resources (BCNR), Central University of Orissa and also the Dean of the School of BCNR. Prof. Palita did his M.Sc., M.Phil. and Ph.D. in Zoology from Utkal University. His Ph.D. topic was “Biological Studies of White Tiger (Panthera tigris Linn.) with special reference to Nandankanan Biological park, Orissa, India”. His area of research includes Conservation Biology/Behaviour and Demographic Studies of Captive population, Diversity and distribution of mangrove fauna (mudskippers, brachyuran crabs and amphibians) and faunal distribution and ecology in forest ecosystem. 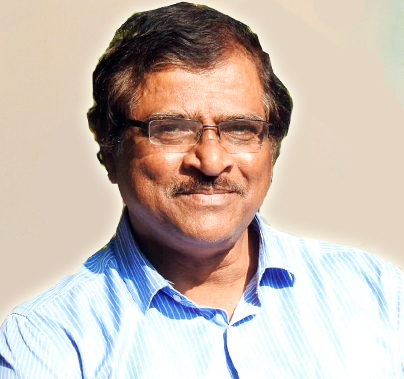 He has published more than 30 research publications in reputed international journals, one book on Bats of Odisha and several book chapters. By now, three scholars have been awarded Ph.D. and nine scholars awarded M.Phil. under his guidance. He also writes popular scientific articles in Odia on topics related to wildlife and environmental issues. Prof. Palita is a life Member of several important scientific bodies and reviewer of reputed international journals. In the Central University of Orissa at Koraput, Prof. Palita has shouldered several responsibilities. Under his Chairmanship of NAAC Steering Committee, the first cycle of NAAC accreditation of Central University of Orissa took place in 2017. He is also the Director, IQAC (Internal Quality Assurance Cell) and Nodal Officer, NIRF (National Institutional Ranking Framework) of CUO. He was awarded the prestigious “RedCross Award-2017” for outstanding contribution by a specially-abled person. He has been felicitated by several socio-cultural organisations of the state.